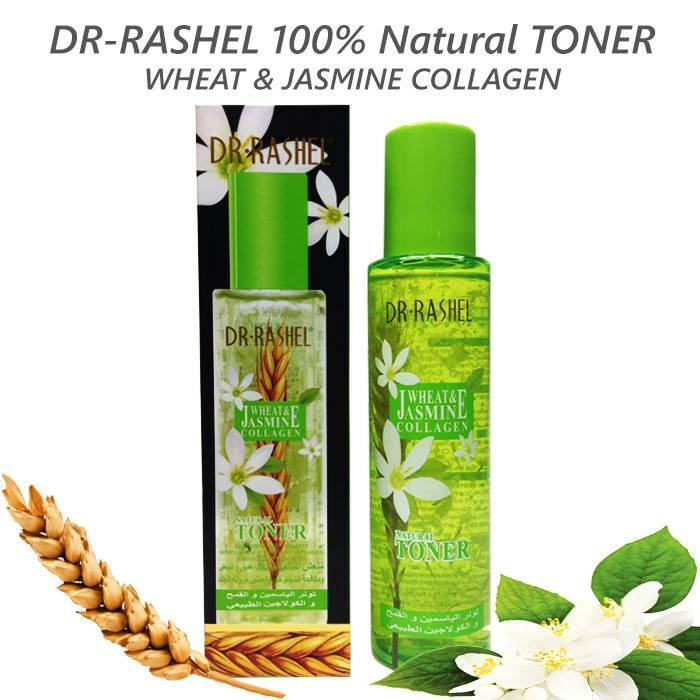 Resentation in the bottle, pure natural jasmine petals, contains a variety of vitamins and norishing energy, through conditioning, relieve dry, make skin refreshing, lasting fragant alleviate emotional stress and anxiety, insist use it, your skin can fine silky and shine. 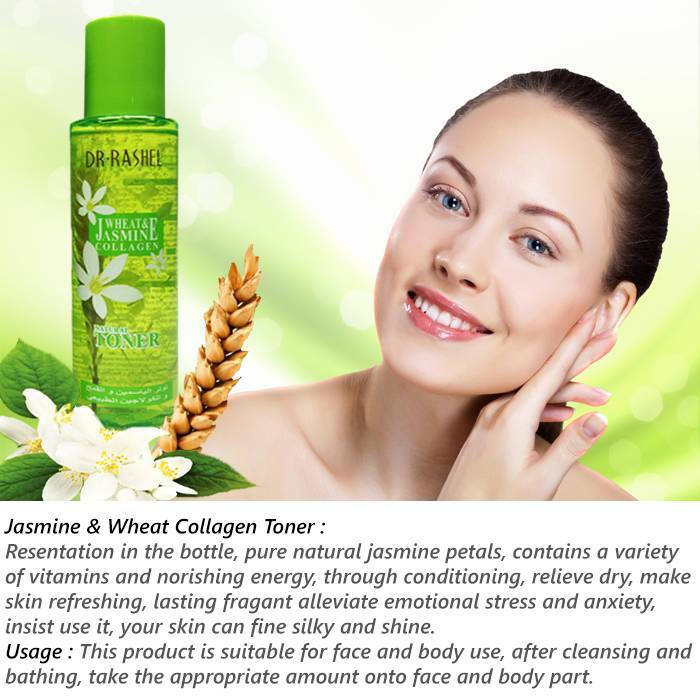 Jasmine Plant Extract : Conditioning dry and sensitive skin, fade of scars and enhance skin elasticity, delay skin aging, clean and unclog pores, improve skin dull, yellowish, greasy. Enhance skin elasticity and gloss. Collagen Effect : Can supply the skin collagen of loss effectively, increase skin elasticity, reduce wrinkles, improve skin laxity, deep moisturize skin let skin become tight, faint lines problem, also make rough skin becomes delicate, smooth and elastic. 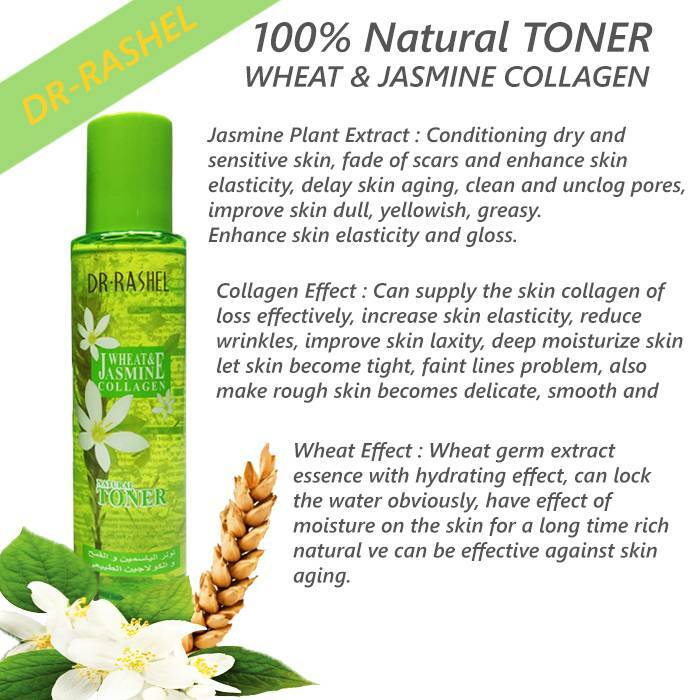 Wheat Effect : Wheat germ extract essence with hydrating effect, can lock the water obviously, have effect of moisture on the skin for a long time rich natural ve can be effective against skin aging. 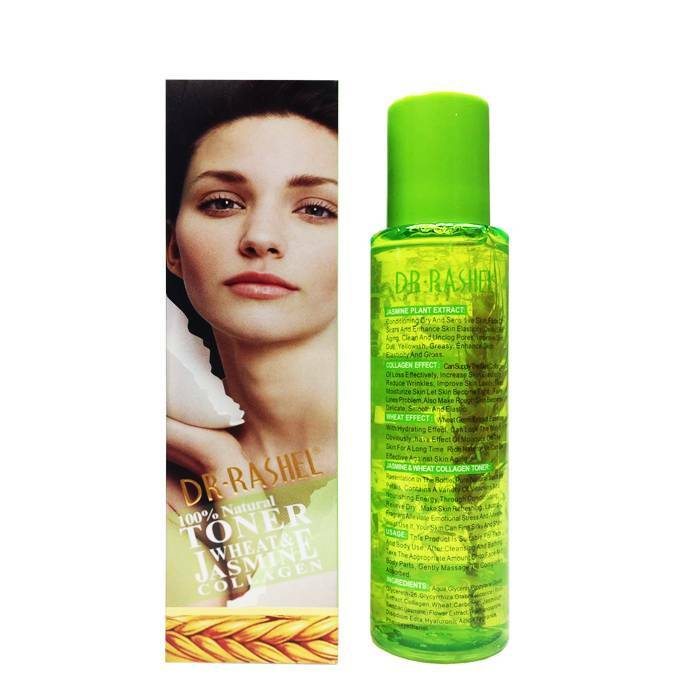 Usage : This product is suitable for face and body use, after cleansing and bathing, take the appropriate amount onto face and body part.